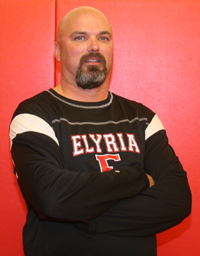 Coach Burnett is entering his 22th season as the Head Wrestling Coach at Elyria High School. 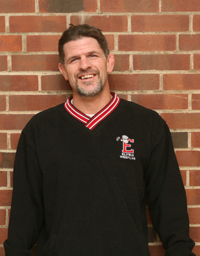 During his tenure at Elyria High, he has coached his teams to a dual meet record of 242-88. Since 2004 Elyria has finished in the state’s top ten nine times, culminating with three years in a row (2015-17) a runner-up finish at the individual state tournament and final two four appearances, and finals appearance at the state dual meet competition. Coach Burnett was named NWCA Coach of the Year for the State of Ohio in 2015. He has coached at total of 72 state qualifiers, 47 state placers, 20 state finalists, and ten state champions. Before coming to Elyria, Coach Burnett served as an assistant at Amherst Steele High School. His previous coaching experience included being an assistant coach at both The University of California-Pennsylvania and Clarion University. Coach Burnett has been both an assistant and head coach for the Ohio Cadet and Junior National Freestyle Teams and has coached the Ohio Junior National Freestyle Dual Team to a four national dual championships. He also coached the Ohio Grapplers Elementary Dual Team. During Coach Burnett’s wrestling career, he was a four time state champion (1984-87) at Oberlin High School. He continued his wrestling career at Clarion University where he was a 3 time NCAA Division I National qualifier and an NCAA All-American in 1992 placing 5th at 118 lbs. Coach Burnett was a Freestyle All-American at Espior, University, and Senior Nationals, as well as a U.S. Olympic Festival Bronze Medalist. 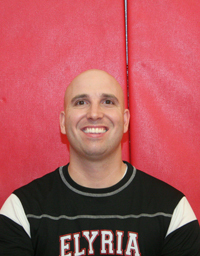 Coach Chidlaw begins his 14th year as an assistant coach at Elyria. In High School, he competed for Elyria High where he was a state alternate at 103 lbs. in 1995. He was a Brecksville Holiday tournament placer and was named Elyria Wrestler of the Year in 1995. Coach Chidlaw earned his bachelor’s degree from Ohio University and earned his master’s degree in Special Education from Cleveland State University. Coach Chidlaw every spring and summer coaches Special Olympics. Coach Childlaw also coaches Pioneer Wrestling Club (PWC) summer invasion teams. In the summer of 2012, Coach Chidlaw took a Freestyle wrestling team over to compete in an exchange tour in England during the Summer Olympics. He helped coached the Lorain County Hooligans, a team comprised of wrestlers from Lorain County, that competed at the 2014 AAU Disney Duals. In 2016, Coach Chidlaw received the NWCA Assistant Coach of the Year award for the State of Ohio, and NWCA Section 2 Assistant Coach of the Year. Coach Felton is entering his eighth year as an assistant coach at Elyria. Coach Felton was a 3x state qualifier as a high school athlete and was Coach Burnett’s first state qualifier as head coach at Elyria. Coach Felton was also a Brecksville Holiday Tournament placer, a 4x district qualifier, and a 2x LEL Conference Champion. He competed on the Ohio Cadet and Junior National Dual Teams and wrestled on both of the Cadet and Junior National Teams in Greco-Roman and Freestyle. Coach Felton continued his wrestling career in college at Heidelberg University (Ohio) and Cleveland State University. Coach Felton in the off-season helps coach Pioneer Wrestling Club (PWC) summer invasion teams. Coach Felton is also, heavily involved in the Elyria Wrestling Youth program. 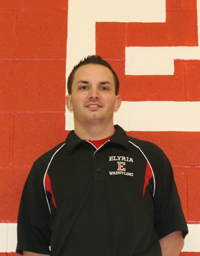 Coach Workman has been involved in the Elyria Wrestling program for many years on all levels. He has helped coach on the Elyria youth team for several years. He was an assistant coach at Northwood Middle School for three years. Coach Workman helps with the off-season program at the high school from the Freestyle Club and the Pioneer Wrestling Club (PWC). Coach Workman has also coached freshman football for Elyria High, middle school football for Westwood, and Girls Track and Field for Northwood in the off-season.